Are you concerned about your textbook choice? "In recent years, education leaders have hailed curriculum choice as a low-cost way to improve student success. But in the first multi-state effort to measure textbook efficacy since the implementation of the Common Core, researchers at the Center for Education Policy Research (CEPR) at Harvard University saw no difference in the average fourth- and fifth-grade math achievement gains of schools using different elementary math textbooks. At current levels of curriculum usage and professional development, textbook choice alone does not seem to improve student achievement" (para. 1). The study, Learning by the Book, involved a sample of almost 6,000 schools and over 1,200 teachers across six states. "Changing textbooks matters little, and adding extensive professional development focused on standards adds even less. Instead, strategies that engage, excite, and accommodate individual needs of students are what we find to matter a great deal, across many subjects and grade levels" (para. 10). The Common Core State Standards (2010) address Mathematics and English Language Arts. "The standards are designed to be robust and relevant to the real world, reflecting the knowledge and skills that our young people need for success in college and careers" (CCSS Initiative Mission Statement section). Learn more about the status of the Common Core Standards in your state. Checking for alignment to CCSS is not a perfect or easy process, as definitions of alignment vary. However, there are projects underway for vetting instructional materials. CCSS Mathematics Curriculum Materials Analysis Project from mathedleadership.org provides a set of three tools that will assist districts in selecting mathematics curriculum materials that support implementation of the CCSSM. Tool 3 focuses on how well the mathematics curriculum materials address equity, assessment, and technology. Appendix: "The Structure is the Standards." Appendix: "Lasting Achievements in K–8"
Does the program provide appropriately rigorous and coherent mathematics instruction? Does it provide teachers and students the opportunity to understand and apply the major ideas and procedures for each grade ... ? Do the materials, tools, and digital offerings provide teachers and students a variety of ways to pursue conceptual understanding, procedural skill, and fluency? Is the curriculum built on learning progressions ... from grade to grade that help students relate grade-level concepts to prior knowledge and build a solid foundation for future learning? Does the program require students to engage in challenging mathematical thinking and problem solving, including academic discussions that explicitly use the specialized language of mathematics? Are there instances that prompt students to construct viable arguments and engage in real-world problem solving? The EQuIP Rubric: Mathematics from Achieve the Core is a tool for evaluating lesson plans and units of instruction in K-12 mathematics for their alignment to CCSS. EQuIP stands for Educators Evaluating the Quality of Instructional Products. The Council of the Great City Schools has a Common Core Standards Project. It includes a Mathematics Grade-Level Instructional Materials Evaluation Tool, which is a set of K-8 rubrics designed for evaluating the quality of instructional materials and textbooks. EdReports.org is vetting instructional textbooks for alignment to CCSS. The reviewers rely on three benchmarks: how well the series meets Common Core expectations on focus and coherence; how well the series helps learners develop conceptual and procedural skills and connects to the standards for mathematical practice; and how well the series supports student learning and engagement, including for enabling teachers to differentiate instruction and use technology (Heitin, 2014, p. 7). EdReports.org provides free web-based reports. However, see Concerns Regarding the Use of EdReports Mathematics Materials Review (2015, May 20) posted at the National Council of Teachers of Mathematics website. The Textbook Navigator Journal for Mathematics Teachers (Nav/J) is a project from the Michigan State University Center for the Study of Curriculum designed to help teachers implement the Common Core Standards, even if they are using older texts adopted before the Common Core math standards. Per the website, 34 math textbook series are catalogued. Those who register can find out which standard a lesson covers, search specific standards for lessons in their textbooks covering those standards, and take advantage of resource materials to develop lessons covering standards that are not addressed in their textbooks (Project section). Read the background summary in the Navigator Report. The Nevada Department of Education Textbook and Instructional Material Evaluation Rubric Form--Mathematics. The Ohio Department of Education Mathematics Resource Materials Filter addresses selecting materials related to the Common Core Standards. It includes 10 categories, each with a rating scale 0-3: Critical Areas of Focus and the Content Standards Alignment, Standards for Mathematical Practice Development, Conceptual Understanding of Mathematics Development, Mathematical Accuracy, Reliability, Validity, Authority and Equity, Contextual Learning, Problem Solving and Rich Problems, Adaptability/limited use – easily able to be modified to meet the diverse needs of students, uses or situations, Assessments-Formative and Summative, Navigability and Appearance. Rigor: Require fluency, application, and deep understanding (Steal these Tools section). Achievethecore.org also provides Where To Focus: Math Shifts, Key Fluencies, and Major Work of Grade. This document is of particular relevance for K-8 mathematics as it provides guidance for focusing instruction at each grade level. Content emphases are identified by major clusters, supporting clusters, and additional clusters. Achieve the Core's section for mathematics includes Common Core exemplar tasks and assessments with explanations and supporting resources, and Common Core aligned exemplar lessons and units with supporting resources. There are also tools for planning, additional materials for understanding the math, and ready-to-use modules for professional development. HOT: The Alabama Department of Education has provided a series of video clips related to the Common Core State Standards for Mathematics, which "provide additional insight into how the College and Career Ready Standards change instruction and the implications of the Standards for the classroom." California Department of Education adopted mathematics programs in January 2014 aligned to the Common Core Standards for K-8. The list of 31 programs from major publishers can be viewed online and are grouped into three categories: basic grade-level (n=20), algebra I (n=10), and integrated math 1 (n=1). Also see details within the California 2014 Mathematics Adoption Report. Common Core FlipBooks: The Kansas Association of Teachers of Math (KATM) has put together a series of "flip" books to help implement the Kansas College and Career Ready Standards for K-8 and high school mathematics. Each is a free download and is intended to help teachers understand what students must know and be able to do in relation to each standard. Sample instructional strategies and examples are included in each. Among resources used for these are the CCSS; the Arizona, Ohio, and North Carolina Departments of Education, and NCTM's Focus in Grades K-8 series. C-STEM (Computing, Science, Technology, Engineering, Mathematics) is an initiative of UCDavis, which promotes "Transforming Math Education Through Computing." "By working with K-14 educators, the C-STEM Center integrates computer programming and robotics into teaching STEM subjects by creating project-based computing and robotics activities, integrated curriculum, and hands-on personalized and collaborative learning strategies aligned with Common Core State Standards (CCSS) and Career and Technical Education (CTE) Standards. This integration helps students make meaningful connections between regular STEM topics and their relevance to real-life applications as well as help develop students’ critical thinking and problem-solving skills" (About Us section). Further, the curricula for elementary, middle, and high school learners within the C-STEM Math-ICT Pathway provide "hands-on integrated learning of math and computer science with coding in Blockly and C/C++." The C-STEM Center also developed "teaching strategies, textbooks, and courseware including lesson plans, PowerPoint lessons, video lessons, group computing activities, optional robotic activities, and assessment tools" (Curriculum section). The programs C-STEM Studio and RoboBlockly are free downloads and include video tutorials. HOT for CCSS: Curriculum Inspirations from the Mathematics Association of America is "a collection of resources for Middle and High School Math Teachers that demonstrate practical ways to engage students in the lively exploration of mathematics and mathematical thinking using problems from America’s longest-running and most successful mathematics competition. Developed by James Tanton, these resources include Ten Problem Solving Strategy Essays and Curriculum Bursts." The problem solving essays "relate specific AMC test questions to Common Core State Standards Problem Solving Strategies. The Curriculum Bursts are "short essays, paired with a Curriculum Inspirations Video." These are found within individual content standards for each of the Common Core high school and middle school math strands. HOT for CCSS: Curriki Geometry Aligned to the CCSS-M Standards "is a collection of resources for a high school course in Geometry. The resources are organized by Common Core State Standards for Mathematics and reflect a ninth or tenth grade course. Both teacher facing and student facing assets are included and are of various forms, e.g. text, video, and animations" (Content section description). HOT for CCSS: Discovery Education Math Techbook for grades 6-8, and algebra 1, geometry, algebra 2, and integrated math 1, 2, 3. These digital techbooks contain game-like activities, videos, and interactives built to address the Common Core standards. The inquiry-based approach balances conceptual understanding, procedural fluency, and application to real world problems. Formative assessments are embedded and provide immediate feedback to learners. Edmentum, formerly PLATO Learning, provides math courseware for grades 6-12 that is either aligned or built to cover 100% of the Common Core standards. High school includes algebra 1 and 2; geometry, integrated math 1, 2, and 3; precalculus, and probability & statistics. A consumer mathematics course is also available. Math courses are either enabled or optimized for use on mobile devices. HOT for CCSS: emergent math is a blog that has some great ideas for introducing students to inquiry-based learning. Begin your exploration with A Problem Based Learning Starter Kit, posted October 30, 2013. You will also find a set of Common Core Problem Based Curriculum Maps for grades 6-11, algebra 1, geometry, and algebra 2. HOT for CCSS: EngageNY Common Core Curriculum includes grades preK-8, and high school algebra 1, algebra 2, geometry, precalculus and advanced topics. The site includes the "Common Core Standards, curriculum and instructional resources, bilingual resources, performance tasks and assessment guidelines and materials." HOT for CCSS: Exemplars: Problem Solving for the Common Core, K-5 is an online resource for instruction and assessment. Materials contain over 500 authentic open-ended problems, differentiated instructional tasks, summative assessments with anchor papers and scoring rationales, planning sheets for using tasks that include vocabulary, concepts, solutions and strategies for solving tasks, rubrics; and CCSSM alignments. There is a free 30-day trial. Exemplars also has other math resources for differentiated problem solving in preK-K and K-8, and problem solving for secondary grades 7-12. HOT for CCSS: Georgia Department of Education Virtual Learning Shared Resources includes content aligned to Georgia Performance Standards and Common Core (where applicable). There are several math courses, each that also includes open education resources and teacher created material: Finance, AP Calculus BC, Coordinate Algebra, Analytic Geometry, Geometry, Advanced Algebra, Pre-Calculus. Review (video and questions) and test taking skills are included. HOT for CCSS: Illustrative Mathematics Project is a work in progress to produce illustrative tasks that students would be expected to do related to each of the Common Core State Standards for Mathematics. Sections address illustrations for the K-8 and High School standards. The project is an initiative of the Institute for Mathematics & Education and the Bill & Melinda Gates Foundation. Inside Mathematics, which grew out of the Noyce Foundation's Silicon Valley Mathematics Initiative, is exemplary as "a professional resource for educators passionate about improving students' mathematics learning and performance. This site features classroom examples of innovative teaching methods and insights into student learning, tools for mathematics instruction [organized by grade level and subject] that teachers can use immediately, and video tours of the ideas and materials on the site" (Welcome section). Inside Mathematic also has CCSS materials and tasks aligned to each Common Core math standard in K-8 and high school by strands. The Ohio Department of Education also developed a Correlation of Inside Mathematics Tasks to CCSS (Common Core State Standards) as of June 2010. Khan Academy: Common Core aligned problems also feature step-by-step solutions and videos related to problems to support learning. Problems focus on conceptual understanding, procedural fluency, and real-world application. LearnZillion "offers a free and growing set of Math and English Language resources for grades 2-12 that have been developed by expert teachers directly from the Common Core State Standards" (About section). Free accounts are available for teachers and parents. The site was started at a public charter school in Washington, DC. Their resources are also featured in the Common-Core section at this website. Making it Happen from the National Council of Teachers of Mathematics is a guide that "identifies and highlights the ways in which NCTM resources can support teachers as they implement and supplement the Common Core State Standards for Mathematics in their states." Mathematics from McGraw-Hill includes textbooks aligned to CCSS. For example, see Everyday Mathematics and Core Plus. Mathematics Learning Center: Bridges in Mathematics for PK-5 is a comprehensive program for implementing the Common Core Standards via an inquiry approach to math education. Per its description, "The curriculum focuses on developing students’ deep understandings of mathematical concepts, proficiency with key skills, and ability to solve complex and novel problems. Bridges blends direct instruction, structured investigation, and open exploration." It "incorporates increasingly complex visual models, including the Number Line and Array models." The Mathematics Learning Center also provides several free apps based on the visual models in Bridges. OpenCurriculum has a library of resources for mathematics gathered from other sources on the web, such as lesson plans, activities, worksheets, assessments, exercises, and lectures. Open Education Resources Commons (OER) hosts a tool (8 rubrics) that enables users to evaluate the quality of open educational instructional resources on its site. The eight rubrics pertain to degree of alignment to Common Core standards, quality of explanation of subject matter, utility of materials designed to support teaching, quality of assessment, quality of technological literacy, quality of instructional tasks and practice exercises, opportunities for deeper learning, and assurance of accessibility. OER evaluation rubrics, developed by Achieve, Inc. in collaboration with the OER Commons, are also available for download at the Achieve web site. CME Mathematics Common Core (2013) from Pearson Education is for "Algebra 1, Geometry, Algebra 2, and PreCalculus. The program meets the dual goals of mathematical rigor and accessibility" and features "curriculum that is designed around problem-based, student-centered tasks" (Product description). enVisionmath2.0 Common Core K-5 (2015) supports print, blended, and 1:1 learning experiences. It includes "interactive learning aids, video tutorials, personalized practice, immediate feedback, built-in RtI activities in multiple modalities" and "promotes focus and coherence" (Product description). HOT for CCSS: Redbird Learning: Mathematics, developed by Stanford University using 25 years of research into personalized learning, "features the latest in adaptive instruction, gamification, and digital project-based learning. This K-6th grade curriculum is designed specifically to meet the requirements of Common Core (Focus, Coherence, and Rigor)." Further, "Applications appear throughout courses, in the form of contextualized problems and STEM projects." (Mathematics description section). This program can also be used with flipped or blended learning. TriumphLearning produced a series of CCSS texts for K-12. For example: for grades 1-8, Readiness for the Common Core; for grades 3-8 and high school (algebra, geometry): Common Core Coach, Common Core Performance Coach, Common Core Performance Coach PARCC or SBAC Assessments, Common Core Support Coach, Waggle (individualized practice), and more. Products are available by state. HOT for CCSS: Utah State Office of Education: Mathematics for Secondary Mathematics includes textbooks aligned to the Common Core State Standards in Mathematics. The texts take an integrated approach and task-based approach to the study of mathematics. Also see the Mathematics Vision Project for the Secondary I, II, and III student textbooks and teacher editions, and the honors texts and teacher editions for those, which are freely available. There are performance tasks and "ready-set-go assignments." The series takes a multi-tasking approach to learning. That is, each task addresses more than one standard and each standard is addressed in more than one task. Tasks are sequenced using the Comprehensive Mathematics Instruction framework: develop understanding, solidify understanding, and practice understanding. More and more districts are turning to digital resources for learning. Some are seeking to reduce expenditures for purchasing print-based textbooks, and are turning to online textbooks or are developing their own content posted in repositories for learning (e.g., within wikis and blogs). Educators are sharing resources, such as lesson plans, assessments, interactive content, websites, classroom teaching videos, and more. The use of OER resources is on the rise, as educators can "reuse, remix, and generally customize any OER to specific students’ needs" (Fletcher, Schaffhauser, & Levin, 2012, p. 8), thus personalizing learning. Is the content appropriate and authentic? Does it do what the author is trying to do in terms of teaching? Is the content free of grammar and spelling errors? Is graphical content present and of high quality to support learning (consider that digital content can do a better job of this over print-based content)? Does the curriculum address the full scope and sequence of the subject area? Has content bias been addressed (all diverse groups should be appropriately represented)? Has the content of the materials teachers are using in their classrooms been correlated to the standards mandated by the state? What reporting tools are available for monitoring what is being taught? Is it the best use of teacher time to develop or gather content, such as required for an open education resource, or would that time be better spent working with students to improve their achievement? David Wiley (cited in Schaffhauser, 2012, pp. 29-30) added the issue of assessments, and not just pdf files of quizzes and tests. How well does the open education resource address diagnostic assessments or mastery of content? Guide to the Use of Open Educational Resources in K-12 and Post Secondary Education (2013) from the Software & Information Industry Association. Emphasize that materials created by state, regional, or local entities using public funds will hold an open license for sharing, collaboration, and access for all educators and students. Allow states with instructional materials lists to include OER. The U.S. Department of Education Office of Educational Technology is encouraging states, districts, and educators to use open educational resources through its Open Education Initiative, #GoOpen (2015). The department believes such resources increase equity, help schools to save money, keep content relevant and high quality, and empower teachers to be able to "customize learning materials to meet the needs of their students without breaking copyright laws" (Open Education Initiative, Why Use Openly Licensed Educational Resources? section). Do you need help selecting instructional materials? The Guide to Quality Instructional Materials (2018) from the State Educational Technology Directors Association (SETDA) "provides guidance to state, district, and school level leaders in the selection of high quality instructional materials that are aligned to standards, address education goals and are accessible for all students." You'll find several state rubrics, state repositories, a comprehensive section on OER, and much more. Do you want to create your own OER? OpenLearn has a free course for creating open educational resources produced by The Open University. You can complete it online in about 15 hours or download it for use offline. CT4ME has an entire section devoted to Standards, which help identify content for grade levels for states. The following additional resources address content and curriculum frameworks and open educational resources. Amazon Inspire provides open educational resources searchable by subject, grade band, and standards (CCSS ELA, CCSS Math, and NGSS). Curriki.org provides open-source content in multiple subjects. Content is tagged for searches. You can also search by subject, level, instructional type, file type, and special filters. This repository has several thousand resources in the math collection alone. CK12.org open education resources for students. CK-12 creates and aggregates high quality STEM content. Multimedia elements include learning objects with text, video, audio, images, quizzes, and interactivity. This is a great sources for creating Flexbooks. HippoCampus, a project of the Monterey Institute for Technology and Education, is a "free, public website for high school and college students that offers NROC multimedia correlated to most major textbooks." NROC is the National Repository of Online Courses for students and faculty in higher education, high school, and advanced placement. Among the full math textbooks online are Algebra (IA, IB, and Elementary) and Calculus (Introductory I and II, General I and II, AB and BC levels for advanced placement). Multimedia includes audio explanations, visuals, interactivity. Individual instructors can customize the Hippo website to better meet the needs for groups of students. Highly recommended. Illustrated Mathematics offers curriculum for middle and high school: IM 6-8 and IM Algebra 1, Geometry, and Algebra 2. Learning Registry is an open database of learning resources found online "including the publisher, location, content area, standards alignment, ratings, reviews, and more" (Web site description). You can search the registry by topic, subject, or standard. Mid-continent Research for Education and Learning (McREL). In particular see the section for Resources, which includes a Compendium of Standards. MIT OpenCourseWare program has made available free lecture notes, exams, and other resources from its entire curriculum. See Highlights for High School Students for MIT OpenCourseWare materials that are most useful for high school students and teachers. MyMathLab from Pearson includes "ready to go" courses that create "personalized learning experiences that help each student better absorb course material, and it offers the broadest range of textbooks available for online learning and assessment in Math"--over 240 titles. Courses "come with pre-assigned assignments covering each chapter and section, along with the traditional course offering for each book." Course areas range from developmental math (basic math, prealgebra, algebra, etc.) to calculus and technical math. Use your learning management system: Blackboard Learn, Canvas, Brightspace by D2L, or Moodle. National Assessment Governing Board sets policy for the National Assessment of Education Progress (NAEP). Testing frameworks are provided. 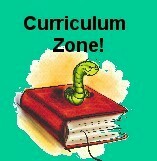 Ontario Ministry of Education (CA) curriculum documents. Open Culture includes free math courses from top universities. You can download these audio and video courses ranging from algebra to calculus and statistics. Other content areas are included. Open Education Resources Commons (OER) includes content from pre-K to graduate school: arts, business, mathematics and statistics, humanities, science and technology, and social sciences. The teaching and learning materials are freely available online for everyone to use. Examples of OER include: full courses, course modules, syllabi, lectures, homework assignments, quizzes, lab and classroom activities, pedagogical materials, games, simulations, and many more resources contained in digital media collections from around the world. The site uses Web 2.0 features (tags, ratings, comments, reviews, and social networking) to help educators in sharing their best teaching and learning practices. OpenTextBookStore is not a publisher of open source textbooks. Rather, this is a source of publicly available open source textbooks selected because they "are really adoptable and ready to use." Within the Catalog section are math textbooks for arithmetic (for upper level and college learners), prealgebra, algebra, precalculus, calculus, and statistics. For higher math, there are texts for linear algebra and differential equations, and a text on Math in Society. Pennsylvania Department of Education Standards Aligned System (SAS) is a web-based digital learning library for educators to help them ensure that all students achieve. SAS contains digital assets (e.g., text, software, photos, video, graphics, music, and sound) by subject area and grade level, which are aligned to Pennsylvania academic content standards. However, educators in any state can benefit from resources identified, which include lesson plans, assessments, curriculum frameworks tied to big ideas, concepts, competencies, and essential questions; interventions, and instruction. Curriculum frameworks include the four major content areas (mathematics, science, social studies, reading-writing-speaking-listening). Learning progressions span grades K-12 and include what all students should know and be able to do through grades K-8 and by taking specific courses in grades 9-12. The math courses included are Algebra I, Algebra II, and Geometry. The collection contains content created nationally and locally. Study.com has online math courses in pre-algebra, algebra, geometry, statistics, precalculus, calculus, college math and more. These feature video lessons from experienced educators, transcripts of those lessons, supplementary content, quizzes, and exams. Learners can potentially earn college credit. The Orange Grove: Florida's Open Educational Resource Repository contains K-12 and Higher Education resources. Sarama, J., & Clements, D. (2013). Do we have alignment? Tech & Learning, 33((9),16. Schaffhauser, D. (2012). Quality control: Maintaining standards in a digital world. T.H.E. Journal, 39(3), 27-30.